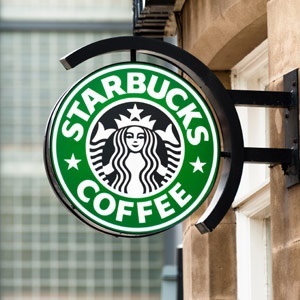 Johannesburg - Taste Holdings could spend as much as R328 million on building up to 41 more Starbucks shops in Johannesburg, Pretoria, Durban and Cape Town by February 2020, Taste CEO Carlo Gonzaga said this week. At present, there are four Starbucks stores in the country, two in Pretoria, one in Rosebank in Johannesburg and one in Midrand at the Mall of Africa, and by February 2018 Taste is looking to increase that to as many as 13. Taste has put the cost of opening a Starbucks shop at between R5 million and R8 million. The first Starbucks store opened in Rosebank in April last year. “If all goes well, we will open stores in Cape Town and Durban,” Gonzaga said. By February 2020, the group is looking to increase that number to between 30 and 45 Starbucks shops. In the long term, Taste sees its local Starbucks stores growing to 150. Taste offers free Wi-Fi at its local Starbucks stores and Gonzaga said that the stores were seeing data usage of 150 gigabytes per day. To fund the planned expansion of its food business, Taste is looking to sell its luxury goods division, which includes Arthur Kaplan, Rolex, Cartier and Mont Blanc brands, and focus on its food business. Taste has appointed advisers to help it with the formal sale process. However, Gonzaga said that given the tough economic conditions there was an outside chance that the sale of the luxury goods division wouldn’t go through. The luxury goods unit was on the books at a net asset value of R300 million, he added. Taste is also looking to open corporate Starbucks stores as well as introduce drive-thru stores. In the US, drive-thru stores sell 40% of Starbucks’ units and make 60% of its profits. “Starbucks is a past master when it comes to drive-thrus,” Gonzaga said. Within 12 to 24 months, Taste’s local stores were likely to turn a profit on earnings before interest, tax, amortisation and depreciation. Turning to Domino’s Pizza, he said that the pizza chain was focused on developing its online offering with more than 30% of orders placed with Domino’s via its online platform. At Domino’s stores in student areas, online orders were more than 80% of total orders. Within two years, the majority of Domino’s orders would be placed online, he said. Worldwide, Domino’s sees more than 50% of its orders placed online. Looking to the year to February 2018, Taste is looking to outlay R92 million in capital expenditure compared with R81 million in 2017 and R52 million in 2016.